Internet marketers are well aware of the fact that with the help of Google AdWords, the chances of drawing web traffic are increased remarkably. However, in the event you don’t follow the accurate process of going ahead with such marketing campaigns, you can eventually feel the pinch in your wallet. As a result, the ROI or the Return on Investment from your online business will not be something that you can be happy about. In fact, there are several instances, when faulty marketing campaigns siphoned off more money than the entrepreneur actually earned. 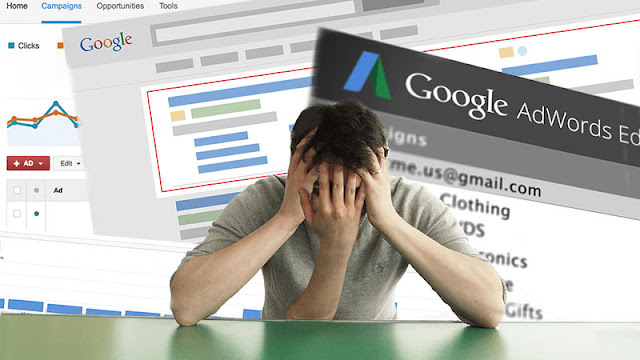 These errors usually take place if you are ignorant about the finer aspects of using Adwords. In this write up, let us quickly scan through the common errors that hinder progress of online business entities as far as internet marketing efforts are concerned. In order to get the best returns, you can avoid these mistakes. In case you are not using any one of the 3 matches correctly, your internet marketing efforts can go for a toss. Basically, there are 3 matches that you can use, namely, phrase match, broad match, and exact match keywords. So, what happens if they are not matched properly? Unless they are accurately matched and used in the ad campaigns, you will not be able to get too high a conversion rates as it will create “fewer impressions” on your target audience. Generally, ad campaigns are used so that different types of marketing campaigns can be arranged. For instance, if it is a content campaign and product promotional campaign that you are looking forward to, both can be effectively carried out separately. If you are not grouping your ad campaigns properly and not segregating the promotional instances in their respective groups, the feedback or the result you get will not be up to the mark. According to the norms of PPC, the closer a keyword is to the term searched for, the better are the results. So, the keywords or the phrases have to be matched in such a way that the searched term is as close to the keyword grouped or matched. Ideally, experts say that using no more than 20 keywords in a group is the best approach you can take. This is a common error that many internet marketers commit. And that is not incorporating negative keywords in the matching keywords or key phrases that are searched for. One of the features of AdWords is that it allows you to make use of keywords that are negative which in turn helps in excluding keywords that are not a match for your keywords or key phrases searched for and the ones that are related to your product or services. This is better understood with an example. For instance, if you have an online retail store that sells children products but not maternity products, you will not want that your ads show up for maternity products but you will prefer your ads to show results for children’s products. Unless you calculate the LTV of customers, you will not be able to assess the amount you can afford to shell out on AdWords per acquisition. Aside from the errors mentioned above, there are other faults that are oftentimes seen being committed by internet marketers. In order to reap the maximum benefit from your marketing investment and campaigns, you can always seek professional assistance from service providers that have been in this business for several years. However, just make sure that you are not ripped off by a firm that fails to deliver what it promises.